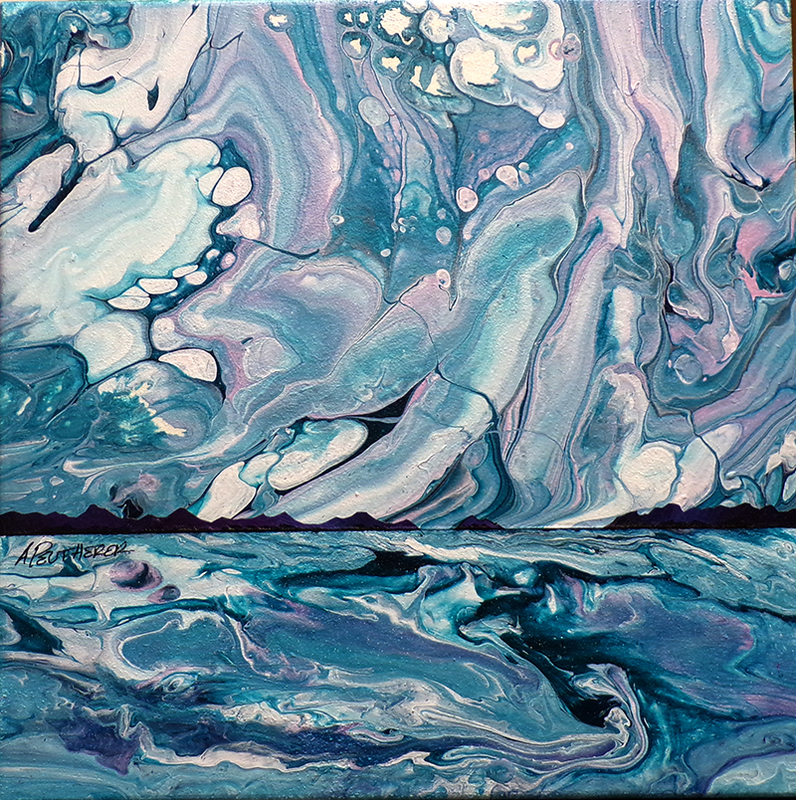 Original atmoshperic painting & prints of The Hebrides. on Scotlands West Coast. An original abstract, atmospheric seascape painting of The Hebrides during a heavy swell in The Minch off Ullapool. to produce a very atmospheric painting depicting the ever changing wild weather that constantly sweeps across Scotland’s islands from The Atlantic. Original Paintings& prints of The Hebrides – Hebridean Swell, Scotland.